The quality of alpaca fleece produced by American breeders is so high that we are able to manufacture our Ne Plus Ultra Alpaca yarn using only fleeces that considerably exceed the finest commercial standards currently in use. And we make sure every step of the process that turns these gorgeous fleeces into yarns meets a similar standard of excellence. This 8-ply cabled-style yarn is spun to a worsted weight and available in seven natural and five kettle-dyed colors. The cabling process yields a yarn that will become almost unimaginably soft with use, without losing its structural integrity. This incredibly soft 3-ply sport weight yarn is spun with fiber nearly as fine as what we use in the Ne Plus Ultra line, and as fine or finer as that in the finest commercial products produced overseas. The 3-ply spin means this yarn has an extremely soft handle from day one and will gently halo with work and use. We love this yarn so much that we have produced it in six kettle-dyed colors to complement the 8 natural ones we make – of course, using American-made dyes. 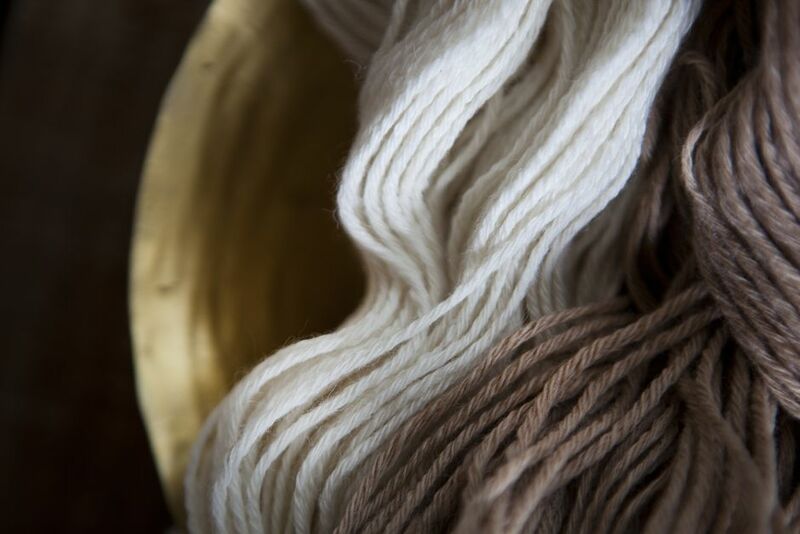 And our dyeing process blends multiple values of the same color in a way that gives the resulting yarn the same rich natural-seeming variations that our natural colors have. We are pleased to present a collection of beautiful patterns for use with our yarns, created by American designers from around the country. It is a privilege and an inspiration to work with these creative folk, and we look forward to adding their visions to the library of beautiful patterns we have available for you.